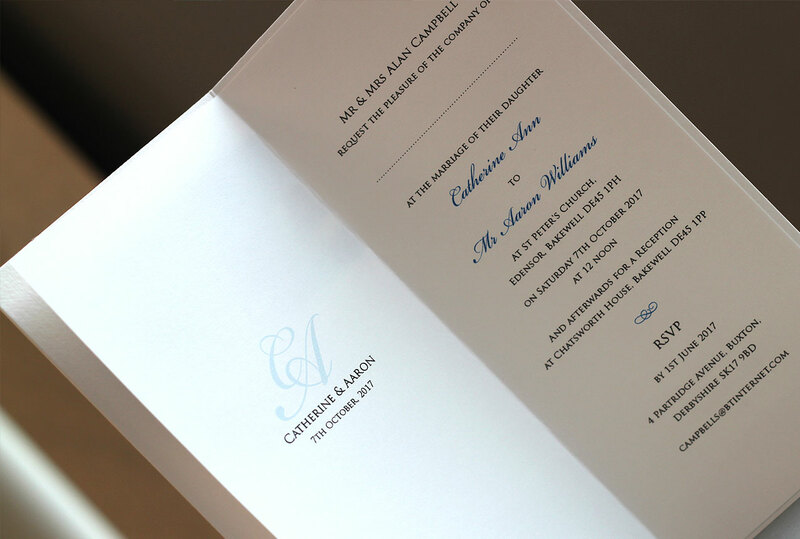 sometimes we get a photo that really maximises the stunning effect of the transparent window – and the blue sky on this wedding invitation for Chatsworth House was one of those photos. 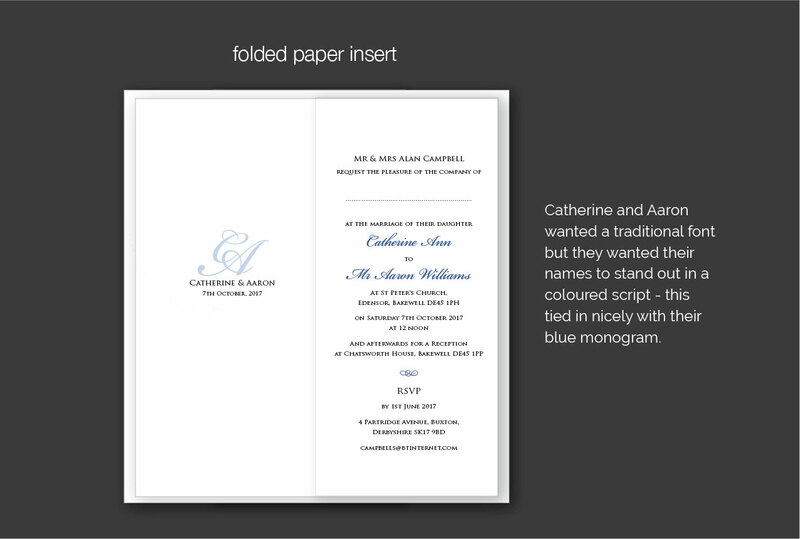 We used the same blue on Catherine & Aaron’s monogram and on highlights throughout all their wedding stationery. 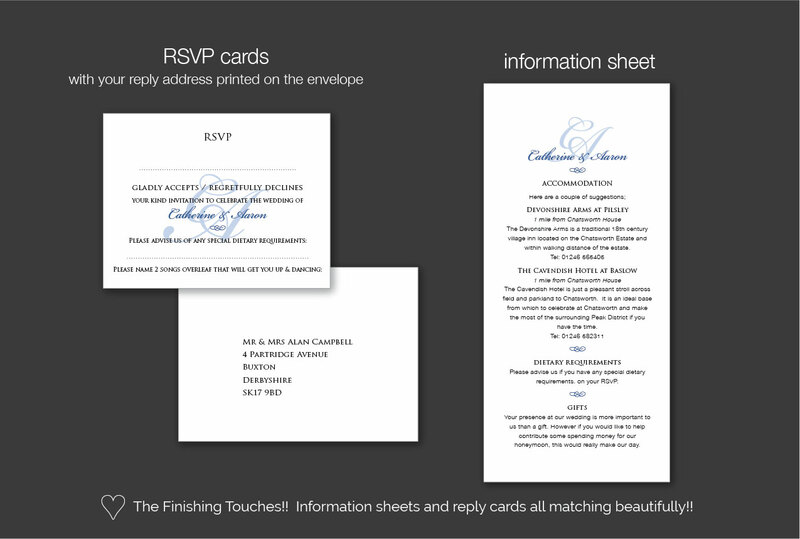 The fonts were traditional but the transparency gave the invitations a modern twist. 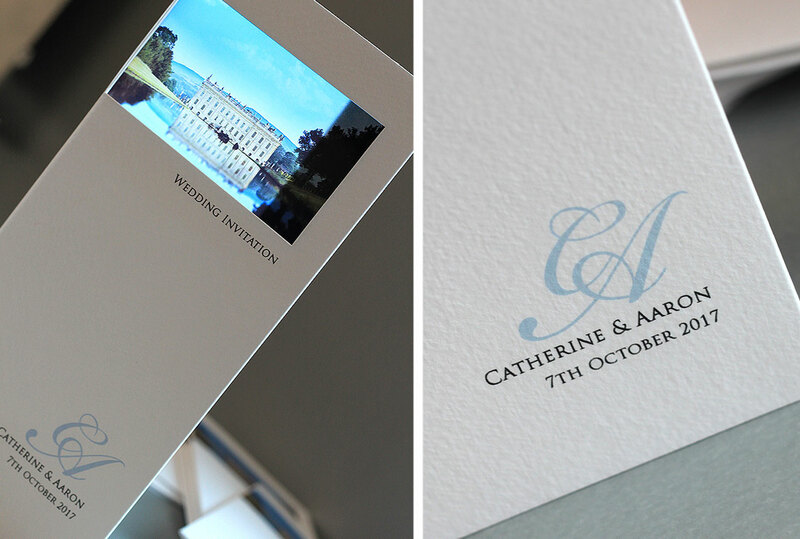 It was also a fabulous way to show off an amazing venue! 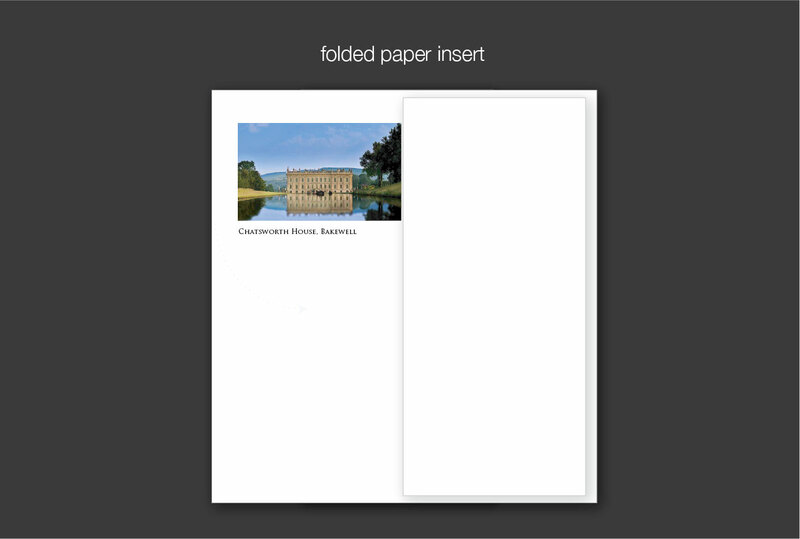 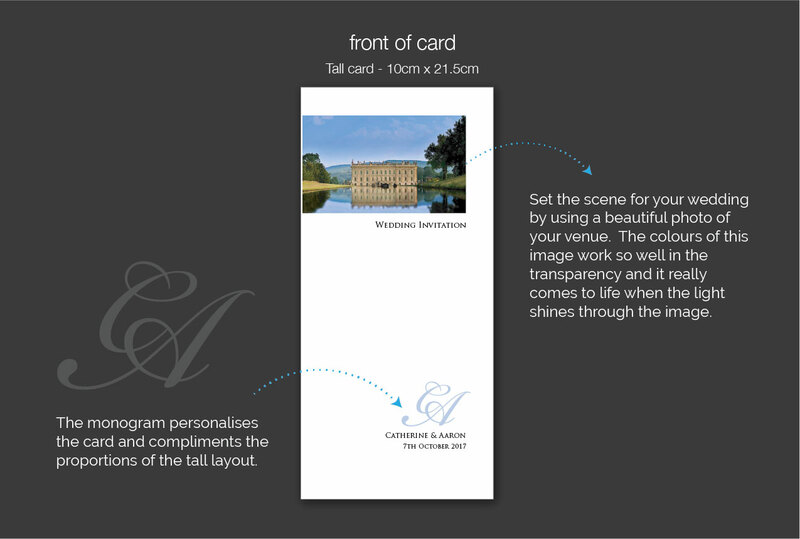 Just tell us you like the ‘tall wedding venue invitation’ if you would like to use any design details from this example.